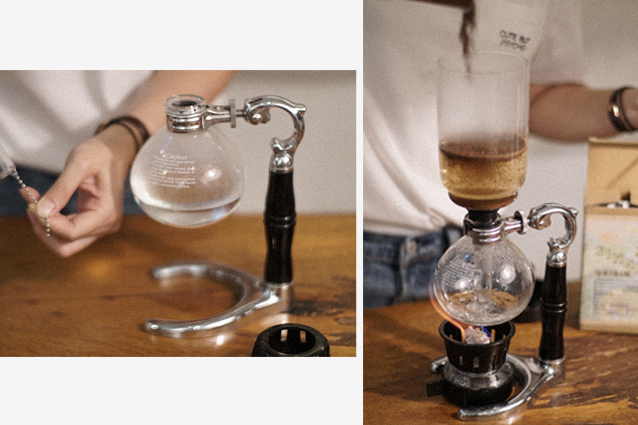 3 cup vacuum pot coffee brewer. The Yama Vacuum Brewer ships with one filter cloth, the filter assembly, a measuring spoon, lid/stand, alcohol burner, and vacuum brewer. “Cup” refers to Yama’s idea of what a cup should be and equals about 3-4 ounces for each cup. 1¼ cup (300g) of boiling water or No.2 mark. Pull down the chain attached to the metal filter and hook it to the bottom of the glass tubing. Fill the globe with pre-heated water up to No.2 Mark. Loosely place the funnel inside the globe and start boiling. While you wait, grind the coffee bean to a medium coarseness. Or ask VCR barista to do it for you. Soon the water will start boiling, securely attach the funnel to the globe, allowing water to rise up into the funnel. Lower the heat. Once the funnel fills, create a whirlpool and add the freshly ground coffee. Start the count-down timer or hit play on your music player. Thoroughly stir to submerge everything. Leave it alone, to brew, undisturbed. At the :40 seconds, stir again. Half way through the song (at 1:30 seconds), kill the heat and give it a big whirl. The coffee should finish drawing to the globe by the time the music ends (3 mins). Remove the funnel and serve. 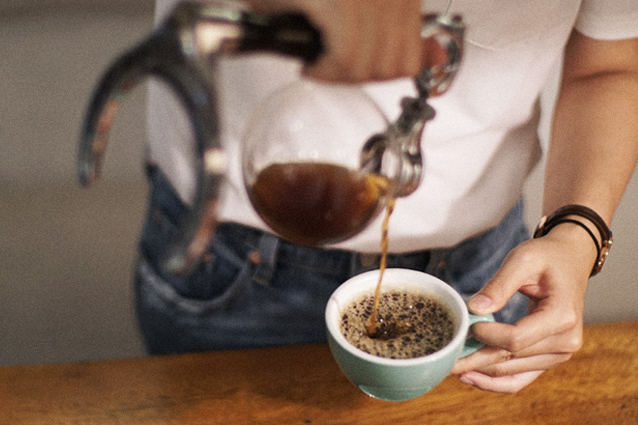 Whether you are a coffee lover who wants to up your game, a business owner or someone who simply likes to start a home-brewing ritual, we’ve got you covered. 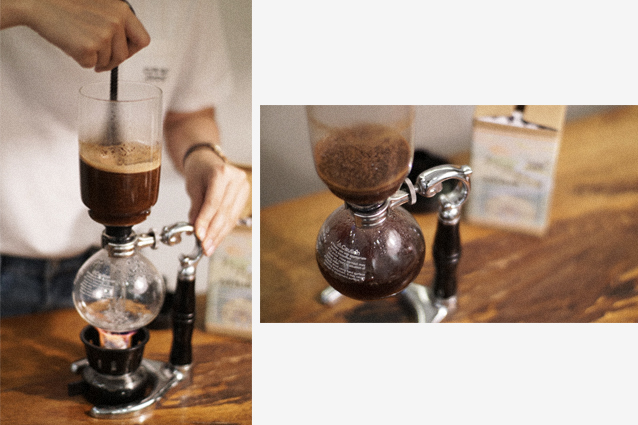 At our training lab at Vietnam Coffee Republic, we offer a variety of introductory courses on coffee brewing and tasting know-how. These classes will be a quick shot of “espresso” to boost your understanding of coffee and how to best enjoy your delicious cup of joe.